Today at CES 2018, Humaneyes announced the next generation of its 3D 360 camera, the Vuze+ VR camera. The camera features a number of improvements upon Humaneyes’ existing 3D 360 camera, the Vuze, including the ability to live stream from the device, improved optics and spatial audio, and a more rugged body. 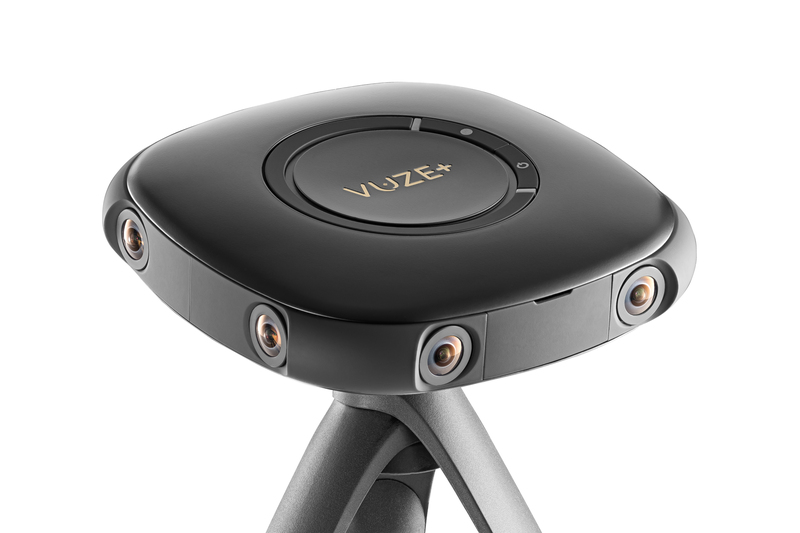 With the live streaming feature, Vuze+ users will be able to broadcast 3D 360-degree video in 4K to Facebook, YouTube, Periscope and any RTMP platform. Unfortunately, current Vuze camera users will need to pay an additional $199 to access live streaming capabilities. According to Humaneyes, the Vuze+ camera also has custom lenses for improved optics beyond the original Vuze, and better spatial audio capture. It is also housed in a sturdier body, with an IP65 rating for water and dust protection. In addition to the new camera, Humaneyes also announced a handful of software updates for both the original Vuze camera and the Vuze+. The Vuze Camera app now offers live preview of footage as it’s captured, full manual control, new exposureThe measurement of the brightness and range (latitude) of light being captured by the camera. Exposure is governed by ca... More settings, and a new 60fps shooting mode for monoscopic 360 videos. 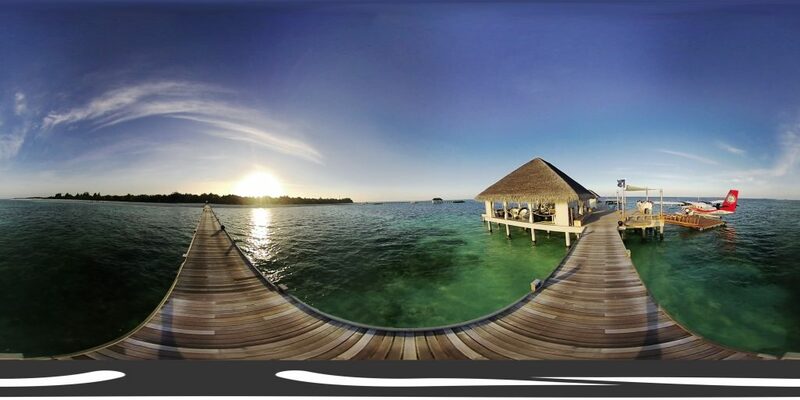 The updated app can also stitch 360 photos and share them to a number of social networks. Although an iOS version is on the way, these feature are currently only available to Android users. Humaneyes has also announced updates to its Vuze VR Studio software, including horizon stabilization, additional editing capabilities, and more output formats. And, each camera will now come with five licenses for Vuze VR Studio. The last announcement from Humaneyes is the launch of its web VR publishing and sharing platform, Humaneyes Zone. The platform will allow anyone to build a VR website to showcase VR work, from home tours to training sessions and weddings. These experiences can be shared via a simple hyperlink and can be watched within any browser, both on desktop and magic windowA method of viewing 360 content where a rectangular frame acts as a portal to the larger, spherical recording. The viewe... More, as well as with mobile VR devices. Anyone can try Humaneyes Zone for the first two months at no charge, building one free branded VR site hosting up to 15 GB of content. After two month, Humaneyes Zone will cost $9.99 per month for a basic plan (or $99 per year) hosting up to 5 GB of content on a Humaneyes-branded domain, $$14.95 per month for a premium plan ($149 per year) hosting up to 15 GB of content on a Humaneyes-branded domain, or $19.95 per month for a pro plan ($199 per year) offering 30 GB of content and a custom-branded domain. 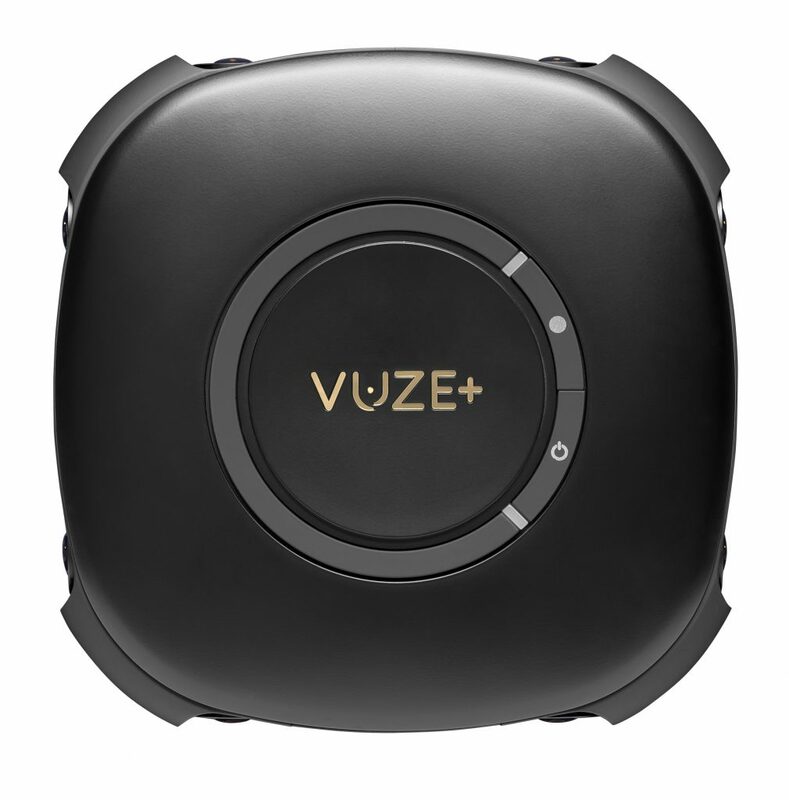 The Vuze+ VR camera is currently on display at Humaneyes Technologies’ booth at CES, in South Hall 1 booth 21018. The camera is available for $1,199 on Vuze’s website, and shipping will begin Jan. 21.